Prominent & Leading Manufacturer from Vadodara, we offer screen printed courier bag, office envelope and self adhesive envelope. Courier bags are no more white, plain and boring! 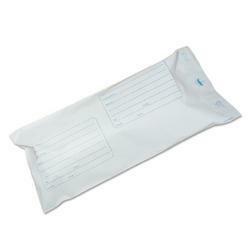 We offer custom screen printed courier bags with design as per customer's requirement. Available with amazing features. Double time100% checked, (each process with strict checking,making sure each pc goods with good quality). Double time100% checked,over 6 times(each process with strict checking,making sure each pc goods with good quality).